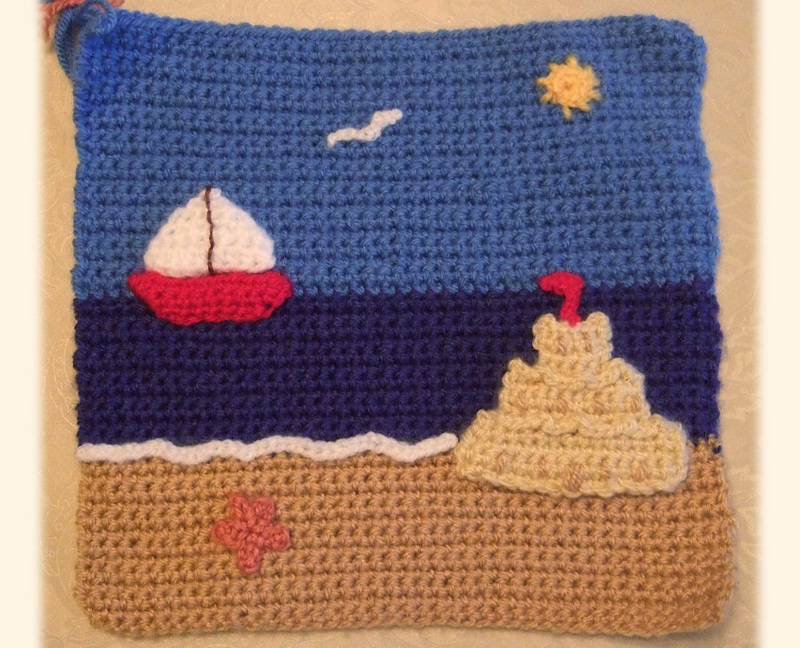 A single crochet square, with the addition of some fun and fantastic appliques to create a seaside scene. 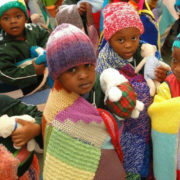 Bright and cheery appliques of ‘creatures in the sea’ and yarn gifted from a KAS friend (across the ocean). 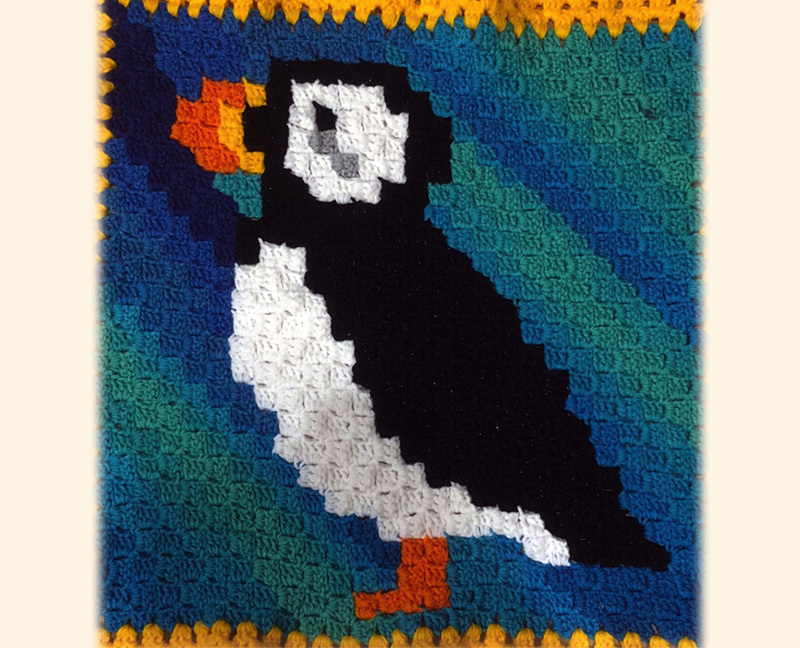 An adorable puffin, complete with sparkles in the black yarn, to represent the water droplets on his back as he hops out of the sea. 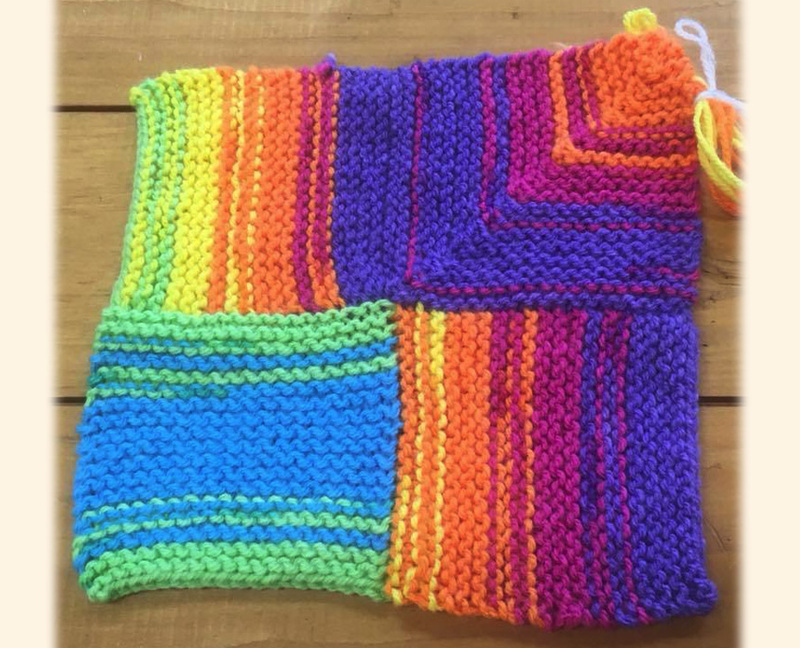 Uses corner-to-corner crochet. 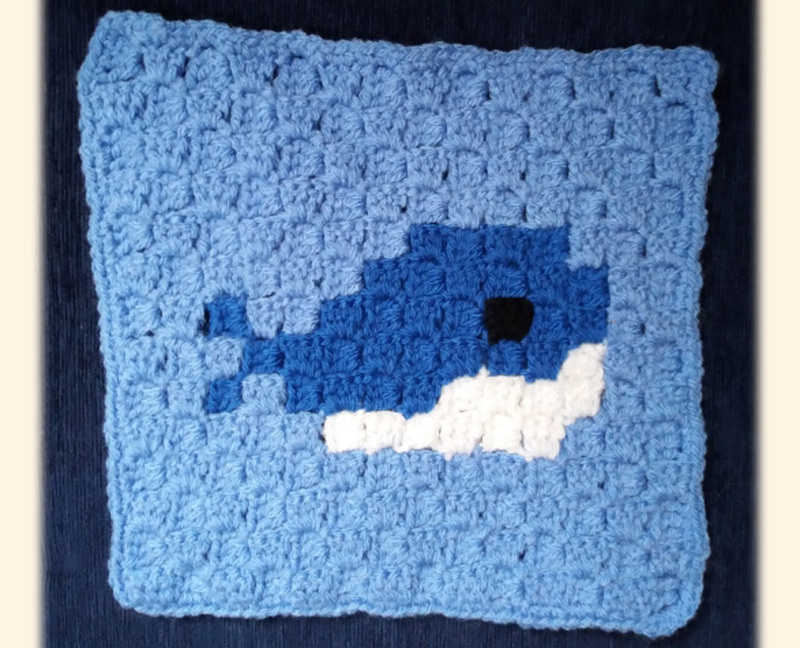 Holidays in Norway: Sitting on my chair and looking out over the ocean with a beautiful coastline, I have crocheted this little whale. What else can I wish for! 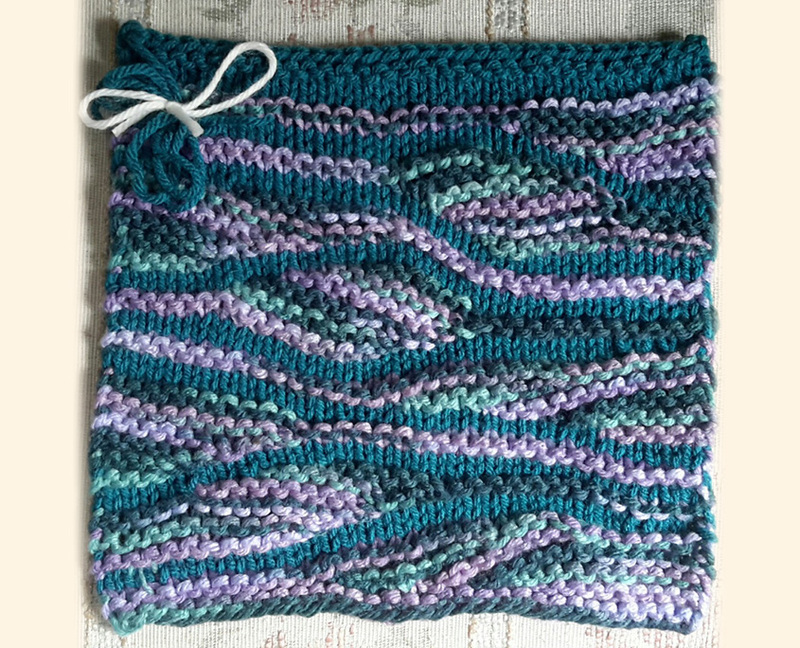 An ocean-inspired square with its colours and undulating waves. 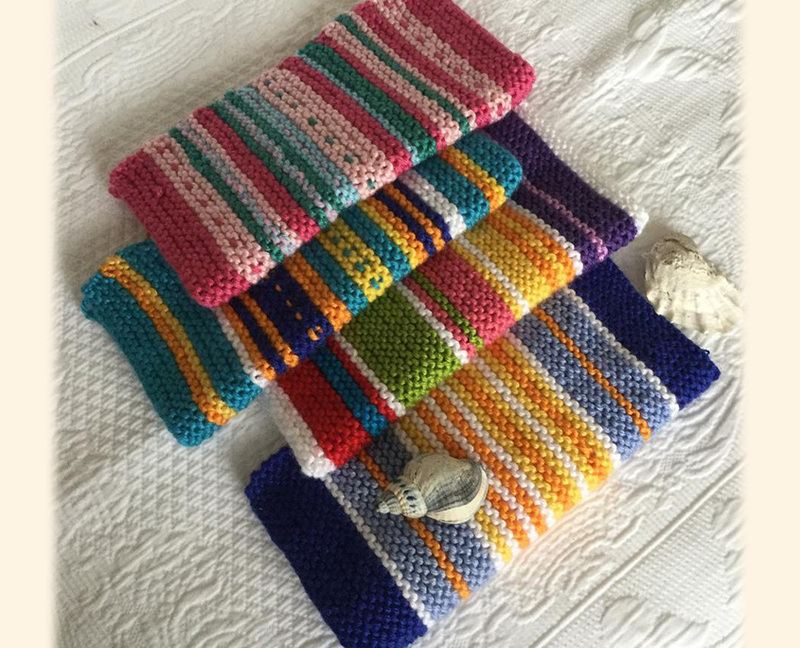 Some snazzy, striped, ‘beach towel’ squares using garter stitch and lots of colourful yarn. We love a ‘virtual’ sing-a-long at KAS and Patricia had us all singing along to ‘Yellow Submarine,’ whilst admiring this cutie. 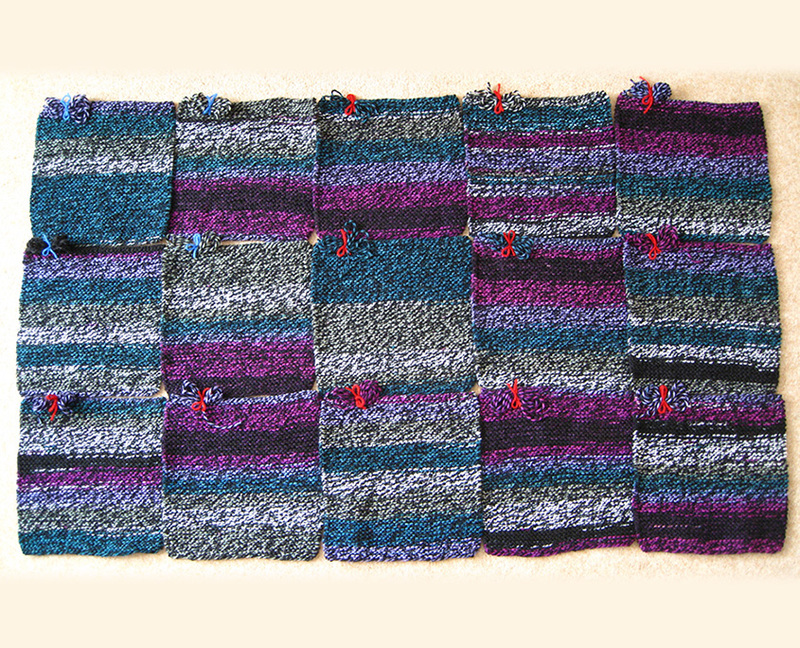 A gorgeous collection of squares that reflect the craggy or slate rocks found on cliffs of the coast line – and the purple hues symbolise the heather growing along their tops. A colourful representation of rock candy. A visit to the seaside would not be the same without this treat! 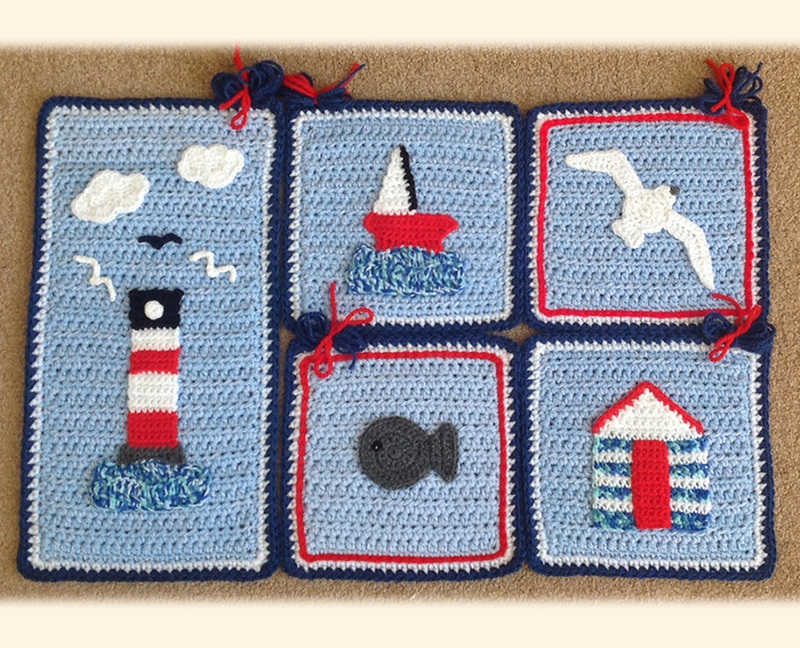 Crocheted seaside squares with red, white and blue appliques. 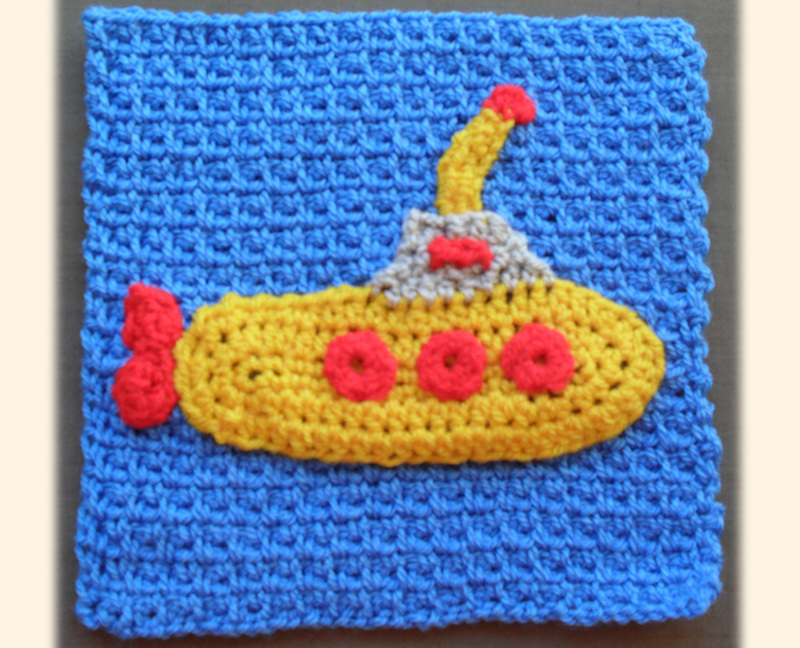 A crocheted edging makes them perfectly eye-catching! 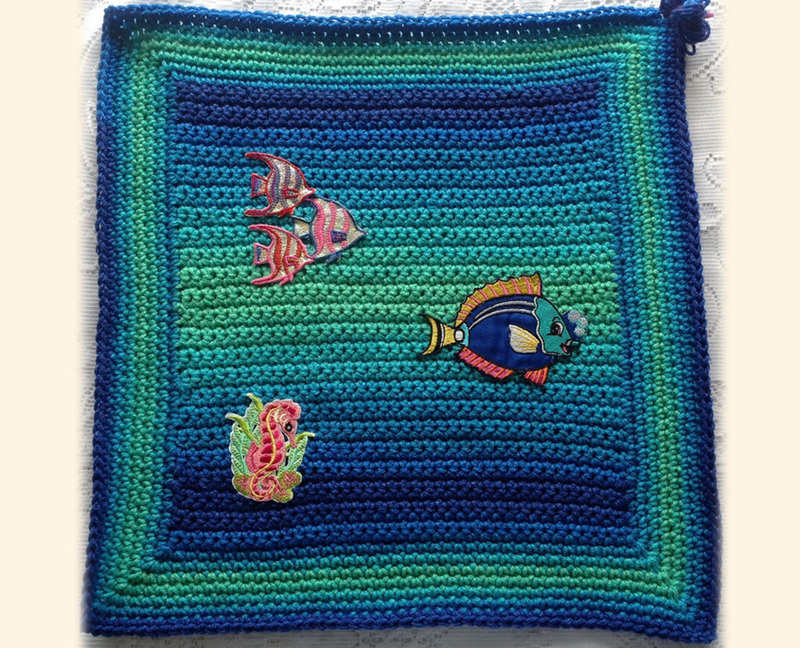 A collection of squares (and memories) from Knit-a-square members featuring the September Theme – Oh I do Love to be Beside the Seaside. 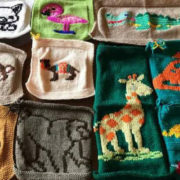 Hosted by Lesley.